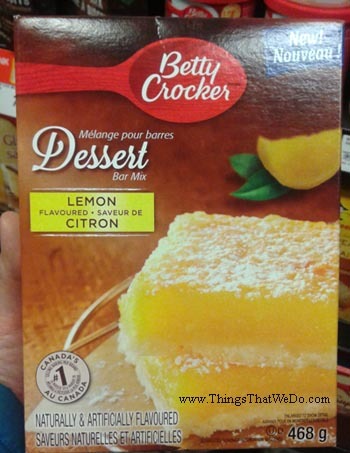 There I am standing at the grocery store pondering all the boxed stuff on the shelves and this box catches my eye: Betty Crocker’s Lemon Flavoured Dessert Bar Mix. You see, I make lemon bars and while I’m no expert baker by any means, I’d have to say my lemon bars are pretty tasty. So, if I can make lemon bars that means they’re relatively easy to make. Thus, my brain has to ask: what’s inside this box of Betty Crocker’s Lemon Flavoured Dessert Bar Mix? If I was in a rush, would I use this box? I pick up the box and I have a good read. 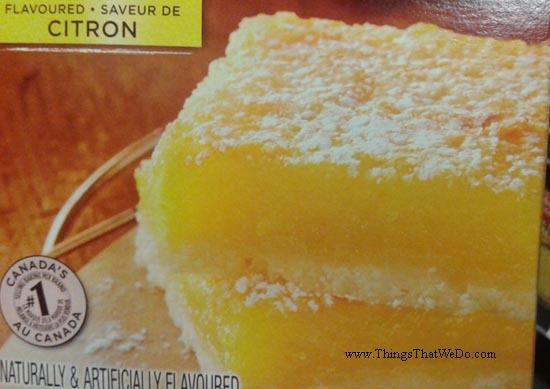 So, what ingredients are in this box of Betty Crocker’s Lemon Flavoured Dessert Bar Mix? Well, that’s a zinger. I mean, that’s a lot of ingredients in that one little box. When I make my lemon bars, there are only a few basic ingredients. I mean, I’m not completely clueless. I get that this is a processed product designed for convenience but I don’t know if I’d be okay with all that stuff especially when I consider that sugar is the first ingredient. 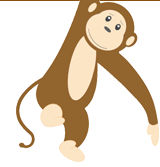 I continue to read and look at the Nutrition Facts label. I have no idea how much is 50g but if I were to eat a 50 g serving, that would give me 21 grams of sugar. 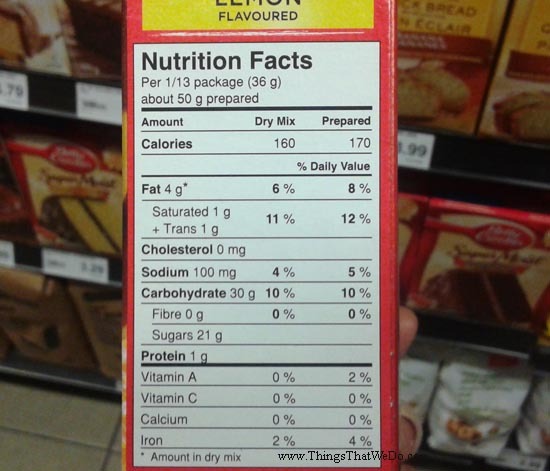 Do the math and that’s about 5 teaspoons of sugar. That sounds like a LOT in one serving. How do I put this nicely? I’m sure this Betty Crocker’s Lemon Flavoured Dessert Bar Mix is handy and likely tastes great for those that like super sweet treats. My family leans more towards ‘less sweet’ so this box would likely be too much for our taste buds. 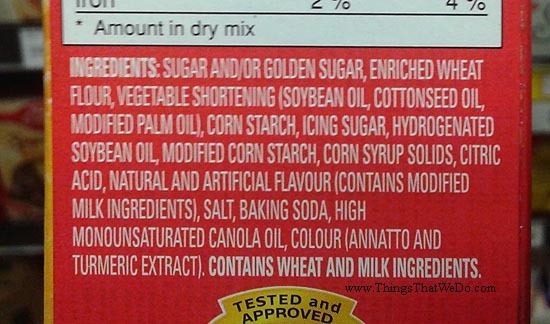 The ingredient list is also a bit on the daunting side. When all is said and done, I think I’m really glad I figured out how to make my own lemon bars and as if that’s not enough, I even figured out how to make lemon pudding cake.